Bob Fosse is well-known for his unique style of choreography and has won many Tony awards. He also thrived as a director and shot memorable films like All That Jazz and Lenny. Arguably his most recognizable picture is the adaptation of Cabaret, which won eight Oscars. Fosse won Best Director over Francis Ford Coppola for The Godfather. Although it's based on the 1966 musical by Kander and Ebb, the connection is loose. The differences make this more than just a straight remake of the stage version. It remains one of the most acclaimed musicals and frequently appears in discussions of the genre's top entries. The AFI ranked Cabaret as #5 on its list of the best musicals, so there's plenty of support for this movie. The year is 1931. 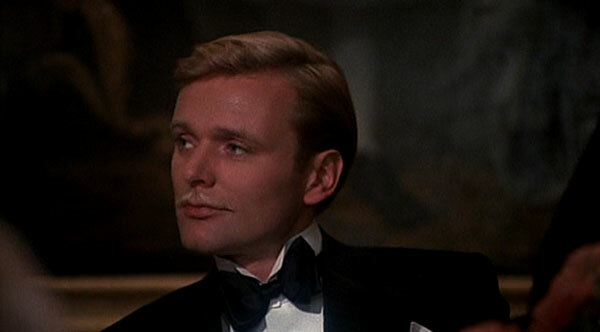 Englishman Brian Roberts (Michael York) arrives in Berlin to rent a room in a boarding house. He befriends American Sally Bowles (Liza Minnelli), who performs nightly at the Kit Kat Klub and dreams of being a famous actress. She's a talented performer but seems pretty naive about her chances. He's resistant to starting a relationship due to his past failures with women. They eventually do get together and have a great time. Complications ensue when they become involved with Maximilian von Heune (Helmut Greim), a rich guy who enjoys playing around. A related subplot involves Fritz Wendel (Fritz Wepper), a Jew who's pretending to be a Christian given the volatile environment. He falls in love with Natalia Landauer (Marisa Berenson), but they face the difficulties of being Jews in 1930s Germany. I like musicals, yet they aren't usually the type of movies that I seek out when checking out older fare. This isn't really a fair assessment since I've enjoyed plenty of films from the genre. Even so, I have to admit that it plays a role in my decisions. Looking specifically at this selection, the idea of watching Liza Minnelli and Michael York in war-time Germany was another obstacle. Since I understand that none of these are solid reasons for skipping Cabaret, it was a necessity to force my hand but putting it in this List of Shame series. I must reject my preconceived notions and forge ahead into the great unknown! This is a tricky question for a film set in the early 1930s. Even so, Cabaret definitely feels like a movie released during the '70s. The saving grace is the inventive direction from Bob Fosse, who uses inventive techniques and odd camera angles effectively. The scenes inside the club are lively and work because they bring so much energy. A prime example is the use of extreme close-ups when the mud wrestling takes center stage. It's an interesting counterpoint to the sharp performances from Sally earlier in the night. Fosse pulls the camera scarily close to the faces of The Emcee (Joel Gray) and the rowdy onlookers watching the fray. While everything from this film doesn't escape its time period, the more outlandish scenes help the story avoid being tied specifically to the time of its release. One downside is the fact that the characters are thin. The actors draw more from the page that what's included. Minnelli is remarkable on stage and owns the screen, but she seems to be playing at something in the dramatic scenes. It's clear that Sally is also trying to put on a show for Brian and everyone else when she's offstage. She dresses gaudily and tries to act refined, but it's clear there isn't as much beneath the surface. Brian is a wide-eyed innocent but also confused about who he is. They make for an interesting pair, and the actors sell the material, but I wasn't that interested in their relationship. The story grinds to a halt whenever Maxmillian arrives on the screen. It's clear that he's a bored rich guy who enjoys playing around, but Sally deceives herself about his intentions. By the time they took the journey into the countryside, I was ready to head back to the club. There's a great moment that lasts only a second but tells us quite a lot about the characters. Sally asks Brian if she shocks him, and it stuns her when he says no. She's so focused on being an outlandish actress that it would never occur to her that he wouldn't be offended. Most of the big moments occur on stage, with Minnelli's "Mein Herr" performance being the musical highlight. It's a show-stopping number involving a chair that gives the clearest example of her stage presence. I should also mention the "Money" song between Gray and Minnelli that connects directly to the events away from the club. He lights up the screen whenever he appears with his creepy presence. There's something devious behind the persona of the upbeat emcee who's directing all the action. When you just consider the musical sequences, Cabaret lives up to expectations and includes plenty of excitement. Minnelli and Gray have charisma on stage and are star performers. There's also an impending sense of doom as hints about the Nazis' rise to power are everywhere. The downside is the more intimate material, which isn't as engaging. I don't regret watching this movie, and it was solid overall. I just wasn't blown away to find out the result of Sally and Brian's relationship. Regardless, it's worth seeing if you're interested in the genre because of the on-stage sequences. I expected to dislike Cabaret, and I actually liked it pretty well. It manages to accomplish something I didn't think possible. It gives us a character in Sally Bowles who I dislike immensely and yet have nothing but sympathy for. I feel bad for her despite her detestability. 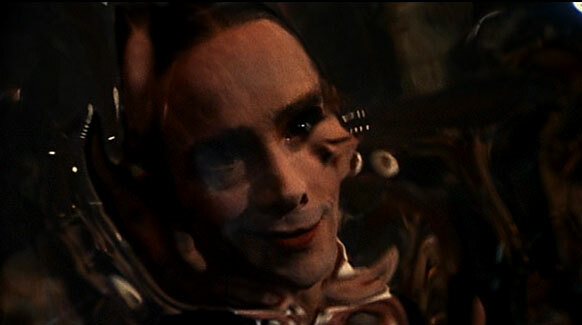 Joel Grey, though, makes this film what it is. I totally agree about Sally Bowles. She's pretty delusional but also sympathetic in a strange way. 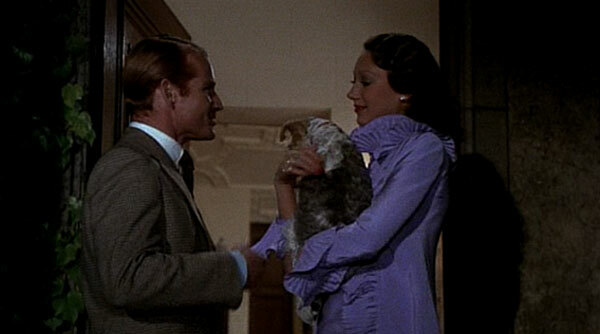 Joel Grey steals every scene where he appears. I liked the movie overall. It's not something I'll run back to anytime soon, but I'm glad that I saw it. Some time back I named Cabaret my "Best Movie That Happens to Be a Musical". For me it is really about the subtle rise of the Nazis in the backdrop that makes this film better than average. Yes, I loved the musical performances (Tomorrow Belongs to Me being sung by the kid is a killer reveal), and I disliked Sally, but it was the little moments like the end of "If You Could See Her Through My Eyes" and the end of the film as well, that really resonated. Chip, I'm glad to hear that you enjoyed this film. It was mixed for me, but one of the things I enjoyed were the subtle ways they showed the rise of the Nazis. I'm right with you on that part of it but had a tougher time getting into the main characters.